Saturday, March 7, 2009, 9:00 a.m. - 4:00 p.m. The California Genealogical Society and Library and the Ulster Historical Foundation will present a full day Scots-Irish Family History Research Seminar on Saturday, March 7, 2009, at the new Oakland Airport Holiday Inn, 77 Hegenberger Road, Oakland, California. Fintan Mullan, Executive Director of the Ulster Historical Foundation and Dr. Brian Trainor, former Director of the Public Record Office of Northern Ireland (PRONI) and former Research Director of the Ulster Historical Foundation will present several lectures, including: Emigration from the North of Ireland to North America in the 18th Century, Records Relating to the Different Churches in Ireland, Irish and Scots-Irish Research: 'Not Always at the Bottom of the Pile' and The Ulster Plantation: Sources for 17th Century Families. Full details and registration information are available in the program flier which was mailed to members in the January 2009 CGS Newsletter. 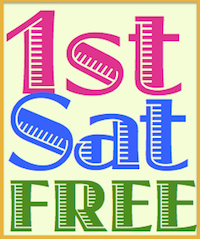 Please note the special "early bird" registration price - $10 off if you register before January 15, 2009. Lunch is included in the price. Our speakers will come to us from Belfast, Northern Ireland and will bring several books for sale at the event, including their title Researching Scots-Irish Ancestors: The Essential Genealogical Guide to Early Modern Ulster, 1600-1800 by William Roulston. Their complete catalog is available at the bookstore website. The UHF is a fantastic resource – I had the pleasure to visit their offices during my recent trip to Ireland and had a one-on-one consultation. Details are being worked out for a limited number of consultations for attendees. I'll have more on this in a future post. After the successful Day of Irish Information last July, the society received many requests for a Scots-Irish Research Seminar. CGS President Jane Lindsey aims to please so I hope that members will spread the word about this wonderful program. 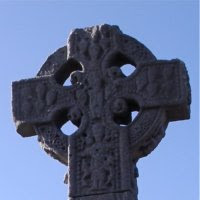 Photograph of the High Cross at Drumcliff by Kathryn Doyle, 10/5/2008, Co. Sligo, Ireland.